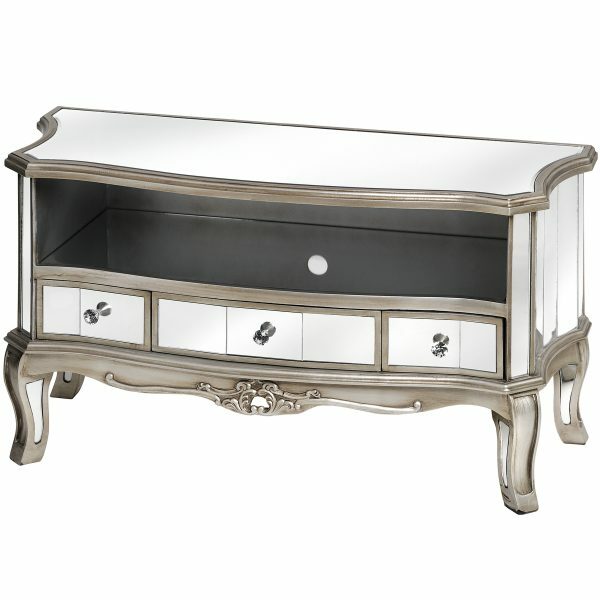 This gorgeous new collection is the antique silver and mirrored style in our French Boutique style furniture range. 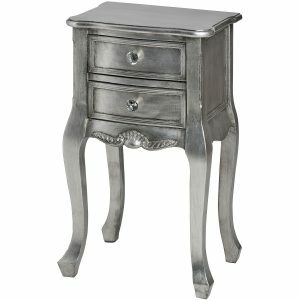 It is made with antique silver wooden edging and panelled mirrored glass pieces. 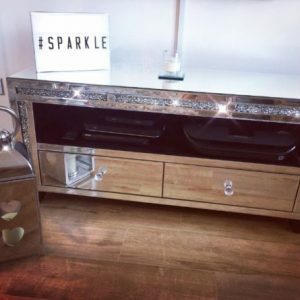 This range is all about elegance and style but with a bit of added bling and comes with pieces for many rooms in your home. 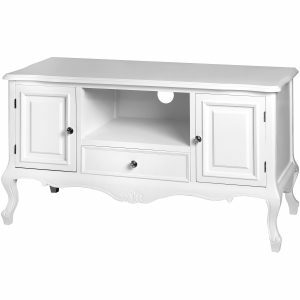 These television units measure 92cm (w) x 40cm (d) x 51cm (h). 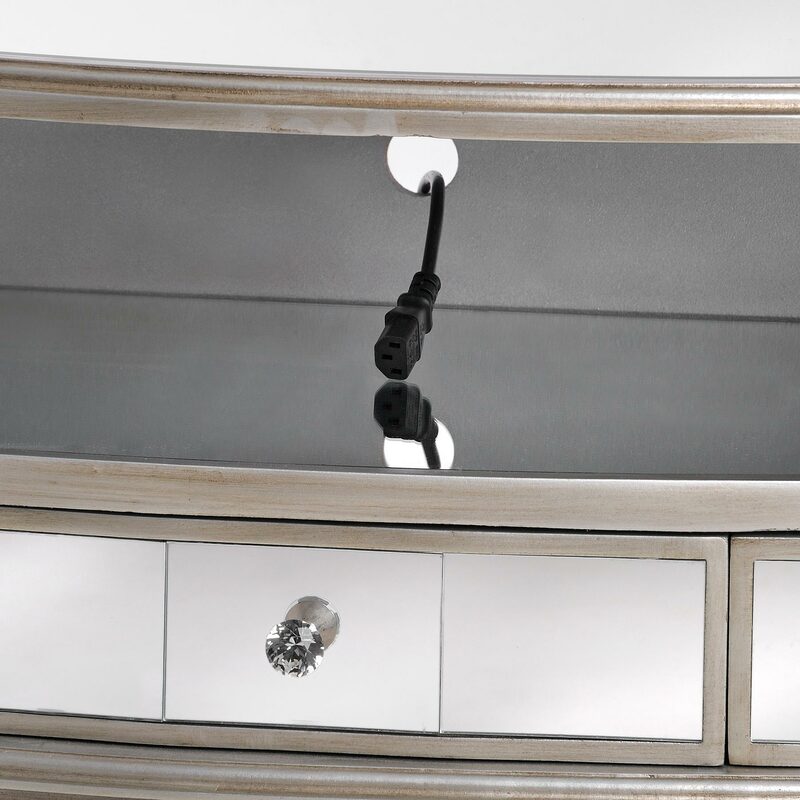 They are finished with stunning crystal drawer handles which will add some sparkle to your living room. 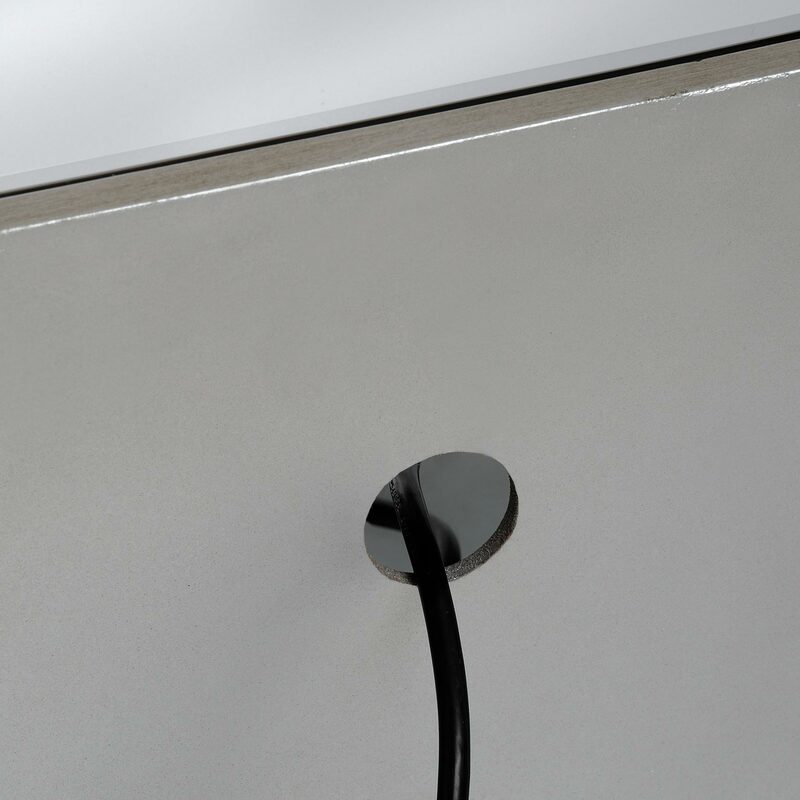 There is also a hole cut in the back of the unit for all television cables. All of our items are manufactured to the highest specification and the quality is second to none. They are ready and assembled when delivered, the only thing you will need to do is attach the handles, found in the drawers, which is very simple to do.